In 1970 he completed his first feature Reconstruction (Anaparastassi). "Out of the story"s thriller-type plot," writes Jean-Loup Passek, "- an immigrant returning from Germany is murdered by his wife and her lover - emerges an ideological style and approach which sets the film quite apart from the conformism of Greek cinema of the same period. The crime itself is far less interesting for the filmmaker than the ins and outs, as well as the individual and collective implications, of the inquiry." The film won an award at the Festival d’Hyeres and got noticed in Berlin, calling the attention of critics the world over to Theo Angelopoulos. The members of the troupe relate to each other on several levels - as characters in the popular story they are attempting to perform; through the psychology of their characters; and on an historical level, concerning their relationship to Greece and its evolution. They bear the illustrious names of the Atridae. "For the first time in the short history of Greek cinema," explains Tassos Goudelis, "a film makes a truly ambitious attempt to dramatize the ordeals of contemporary Greece. Allusions to the Atridae give the viewer direction, inviting him to take stock of Greece’s recent history – both political and social - in the light of a more global destiny, the roots of which reach back to ancient times. The tragic dimensions of the characters are explored in the conflict which pits them against reigning political power." Power is once again at issue in Megalexandros (1980), the story of a turn-of-the-century highway robber who attempts to reign as tyrant. Born of common folk, he is ultimately destroyed by the common folk. After making a short documentary in 1982, Athens, Return to the Acropolis, Angelopoulos collaborated for the first time with screenwriter and poet Tonino Guerra on Voyage to Cythera (Taxidi sta Kithira, 1984), which won the Cannes Festival's International Critics’ Award for best screenplay. We follow the path of a filmmaker who wants to make a film about his own father and who returns to the Soviet Union after thirty years in exile, a stranger in his native land. Through this story of a society in which all spirituality appears to have been banished, Angelopoulos expresses more generally his own disillusionment with democratic Greece. A quest for identity, quite clearly marked by Antonioni, replaces the study of the group. The voyage, usually a coming home and signaled by the crossing of a border, becomes a basic tenet of the filmmaker's writing. 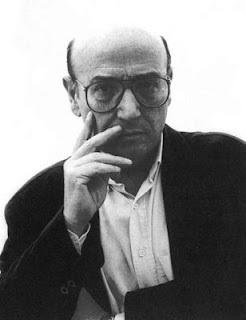 With his next film Eternity and a Day (Mia eoniotita kai mia mera) Angelopoulos finally won the coveted Palm D'Or in Cannes and represented Greece at the American Film Academy Awards. Michael Wilmington called Eternity and a Day "a visually spellbinding study of an aging writer's journey through the present and past.» while in VARIETY David Stratton wrote, "«Eternity and a Day finds Angelopoulos refining his themes and style. Just as the other great filmmakers have in the past explored similar themes time and again, so Angelopoulos has evolved and come up with one of his most lucid and emotional journeys thus far. 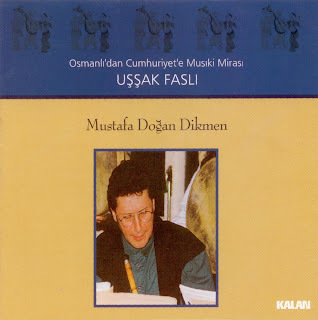 “Fasıl”, din dışı Osmanlı musıkisinde kullanılan bir terimdir. Aynı makamdan değişik musıki şekillerinde bestelenmiş sözlü eserler ile saz eserlerinin birbirlerine bağlı olarak seslendirildiği konser düzenine fasıl denir. Aynı terim, bir bestecinin aynı makamdaki bir peşrev, iki beste, iki semai, bir de saz semaisinden oluşan eserleri için de kullanılır. Sadece iki beste ile semaiden oluşan sözlü eserler dizisine “takım” denir. Bu yapının batı musıkisindeki “süit”le gösterdiği benzerlik dolayısıyla, batılı kaynaklarda fasıl “birleşik bir süit” olarak nitelendirilmiştir. 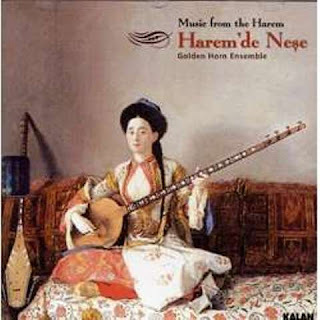 "I am not going to tell you here about the early 20th Century rebellions by the Efes and Zeybeks of Turkey's Aegean region, nor about their customs or heroism which gave headaches to the Sultan, instead, l will share with you what working on this album has evoked in me -- an album evolved from the song collections of the Zeybeks, to whom we owe the prototypes, which later grew in subject matter and number." Bizans imparatoriçesinin 48 yıllık yaşamını, günümüze ulaşan belgelerden de yararlanarak ele alan bu roman, işleniş ve kapsamıyla bir ilki temsil ediyor. Dünya tarihinde kraliçe, çariçe, sultan ve benzeri unvanlarla hüküm sürmüş kadınlar arasında Theodora kadar güçlü bir imparatoriçe olmamıştır. O, hükmetme gücünü bizzat kendi yaratmış ve herkes ona biat etmiştir. Tarih O'nu, bir taraftan cinsellik düşkünü –elbette gerçek payı vardır– bir kadın olarak tanıtırken, öte yandan çelik gibi bir iradeyle Bizans İmparatorluğu’nu önemli badirelerden kurtaran bir imparatoriçe olarak alkışlamıştır. 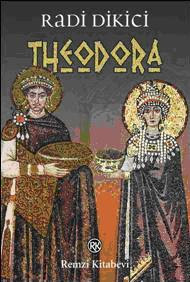 Theodora’yı bir yandan zaaflarıyla ve başarılarıyla izleyip hayranlık duyacak, öte yandan Bizans’ın o soluk kesici entrikalarını bir serüven filmi gibi izleyeceksiniz.